What does your PA use for roof racks? What do people with PA's use for roof racks? The PA has 3 clips for the factory roof rails, can you use that for any brands out there? What's a good way to put the racks on? Re: What does your PA use for roof racks? 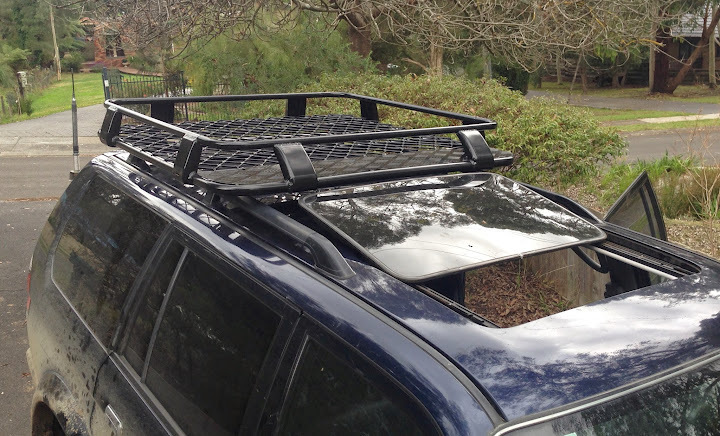 I bought an aluminium rack (a short one, so the sun-roof would still open) and some longer bolts that run through the roof rack and into the clamps on the ProRack bars.